Stock market analysts have maintained 'Sell' rating on Balrampur Chini Mills Ltd (BCML) to achieve a target that lies between Rs 148-145 today. The investors are advised to sell the stock to avoid loss, as there are full chances of a downward trend in this stock in today's session. If the stock fell below Rs 142, it may see more weakness. According to analysts, investors can sell the stock below Rs 150 with a strict stop loss of Rs 152. After selling the stock in today's session, the interested investors can enter the stock again, but only on declines. Today (Oct 29), the stock opened at Rs 154 on the Bombay Stock Exchange (BSE). Current EPS & P/E ratio stood at 7.73 and 19.51 respectively. The share price has seen a 52-week high of Rs 156.95 and a low of Rs 29.70 on BSE. Balrampur Chini Mills had recorded a phenomenal growth in its standalone net profit for the three month period ended June 2009. The company's profit surged 3.93 times to Rs 662.90 million whereas net sales for the quarter climbed 70.10% to Rs 5,380.70 million. The company will shortly announce the results for the quarter ended Sept 30, 2009. 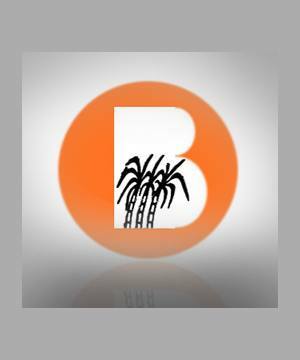 Balrampur Chini Mills Ltd is one of the largest integrated sugar making companies in the country. Its allied groups consist of production and selling of Ethyl Alcohol & Ethanol, creation and selling of power and fabrication and selling of organic manure. BCML has nine sugar facilities located in Eastern U. P. with an overall crushing capacity of 73,500 tons daily.